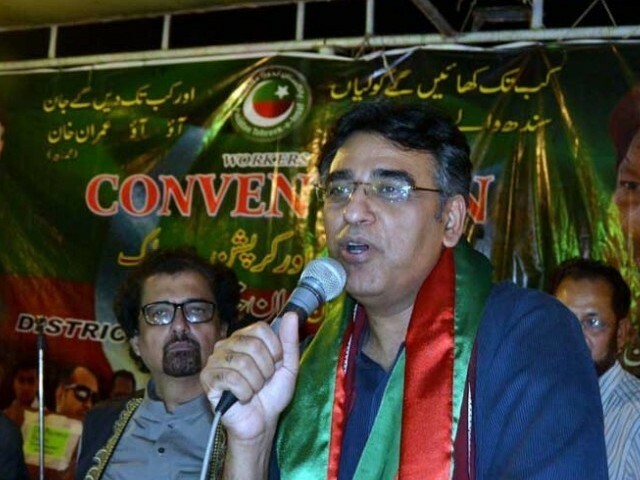 While outlining the 100-day agenda shared by the Pakistan Tehreek-e-Insaf (PTI) recently, Asad Umar spoke about the possibility of creating 10 million jobs in five years. He mentioned promoting tourism and announcing new destinations in an attempt to produce thousands of employment opportunities for the youth. He also mentioned making an extra effort to attract investors in Pakistan and creating an economic link with China through China-Pakistan Economic Corridor (CPEC). Ultimately, enhanced investments and exports would create a bulk of jobs for the unemployed youth of Pakistan. Hue and cry, sarcasm and ridicule poured in over his statement, with the consensus being that the promise of 10 million jobs is simply not possible, and is impractical. His political opponents ridiculed him by dividing the 10 million jobs to the number of total months in five years, and further splitting it into days, hours, minutes and seconds, to create an impression that it is simply not possible for PTI to accomplish the task, and that this too is simply another election slogan. They compared this idea to the billion tree tsunami project, suggesting the billion tree tsunami does not exist, and neither will these 10 million jobs. Just as any criticism of the billion tree project is baseless, for it has become an internationally recognised project, similarly, their criticism against the employment project is groundless too. It is very childish to reject a positive project without knowing its feasibility and practical possibility, simply because it is proposed by someone whose political affiliations you disagree with. After all, one has to wonder, how it can be impractical to produce 10 million jobs in a country with a population of 220 million, which mostly comprises of youth, who have the will and the energy to contribute to the job market. From 2015 to 2017, the unemployment rate in Pakistan was 5.9%, and it has not declined thus far in the current year. Pakistan’s record low unemployment rate of 3.10% was last reached in 1987. In the decades since, our unemployment rate has only risen, despite a surge of youth in the country. Hence, the most urgent need in Pakistan is to create jobs and increase employment for its youth, all in an attempt to bring down unemployment. There are two possible means to employ the lower middle class youth of Pakistan in creative work: either support small businesses, or offer jobs. Encouraging small businesses is of course important for it creates a multitude of jobs, but given the high rate of poverty in Pakistan, not many have the funds for a start-up. Thus, the other option is to hire individuals for salaried jobs, which is in many ways easier for the government to offer and manage, since supporting a business is a gamble that may not necessarily pay off. The critics of this 10 million jobs initiative have their eye only on one side of the picture, where producing so many jobs is impossible in the government sector, and thus are terming this as an election slogan to be forgotten after achieving electoral victory. But have they forgotten about Pakistan’s corporate sector? If PTI were to legislate proper organisation of the corporate sector (possible with Umar’s professional experience) with a law creating stricter rules to ensure a greater sense of job security to the employees, a majority of individuals would be better able to secure a future in this sector. Taking another aspect into consideration, if PTI forms the next government, and focuses on establishing new universities in Pakistan at a rapid pace, millions of jobs will automatically be produced. We need thousands of universities to manage a population of 220 million, and it is no secret the government is struggling to provide, while the private sector is simply not enough to cater to our growing population. However, it is possible for the government to concentrate on establishing more universities in more areas of Pakistan, which would produce thousands of jobs as well as reduce illiteracy, again creating more potential in our unemployed youth. Establishing schools and universities is thus the need of the hour, for if the existing number of schools is multiplied even by two at the end of five years, hundreds of thousands of jobs will have been produced. Similarly, tourism, as well as the billion tree project itself, will create more jobs, as the billion trees won’t take care of themselves. At the moment, the textile industry is lagging behind due to electricity shortages and the reduction of cotton crop in cotton growing areas. However, provided some facilitation by the government, this industry can offer thousands of jobs as well. Even the simple act of providing canal water to facilitate farmers in cotton growing areas, as well as assisting them in the purchase of pesticides and fertilisers, will end up creating more jobs in an industry likely to flourish. These are only a few of the possible means to achieve the target of 10 million jobs in the upcoming five years. There is nothing impossible about this initiative, for this project only needs dedicated people on the required posts. Every Pakistani should be optimistic about any attempts to reduce poverty and create jobs. This project is beyond political affiliations, and we all need to put partisanship aside and think on it as Pakistanis, not as members of any political party. After all, if the mission of 10 million jobs is achieved, it will be Pakistan that will have improved its position, and no matter who you support, we all benefit from this. Should Pakistan Post be disbanded, privatised or revived? with some changes, that you keep repeating, like a broken record. has been removed, for life. For corruption. By the CJP of Pakistan. eater. No more dynastic politics. And investors? Huh?! From where? Andromeda Galaxy? Pluto? Humza, It’s not against the law to marry a US passport holder. deported back to Pakistan by London Metropolitan Police Dept. by now. runs there, ooops! …absconds there. Because he will not like Adiala Jail. And First Daughter Mrayam Safdar has dual citizenship too. British. iqamas, so they can escape easily, when they need to.